Will T-Mobile be the first to sell the Apple iPhone in Europe? 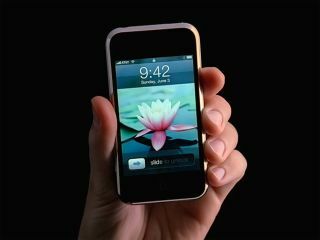 T-Mobile Germany looks set to be the first European mobile operator to sign a deal with Apple to sell the Apple iPhone. Reports from German newspaper Rheinische Post last night state that the price will be around 450 euros (£304), plus the monthly subscription. Deutsche Telekom will reportedly announce today that its mobile carrier T-Mobile will exclusively sell the Apple iPhone in Germany, according to the newspaper (English translation from the Washington Post ). Details on the partnership are few at the moment, but the prices and release dates have been stated. The Apple iPhone will cost 450 euros (presumably for the 8GB model) and will start selling on 1 November. The price tag is 50 euros less than previously reported. T-Mobile is one of the dominating mobile operators in central Europe and the UK with some 100 million subscribers. Alongside T-Mobile, Vodafone and 3 have also been mentioned as potential Apple iPhone operators in Europe. Since no operator has coverage all over Europe it's likely that these three firms will split the contract between them. Alternatively, there could be different operators for the Apple iPhone in each country. Reports stated yesterday that Apple will announce a European carrier for the Apple iPhone when sales figures reach 1 million. The biggest question now is whether it will be the same EDGE unit just released in the US or whether Apple will add 3G to the European version?